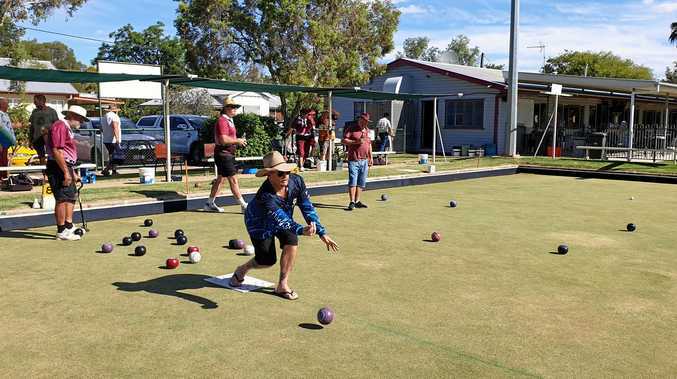 FOR the first time in 10 years, Charleville Bowls Club held the Publican's Bowls Day. Teams of four represented their local watering holes: the Cattle Camp, Hotel Corones, Charleville RSL and the Cooladdi Fox Trap. 1st: Charleville RSL - Stick Newby, Rusty Russell, Josh Sullivan and Damon Moody. 2nd: Fox Trap - Paul Brayley, Phil Daniels, Mick Hay and Skye Bow. 3rd: Bowls Club - Peter Everitt, Luke Everitt, Bluey Booth and John McKosta.